Hey everyone! Welcome to my stop on the I Love Precut Quilts! Blog Hop. I’m so excited to share a project from the new book, I Love Precut Quilts!, written by Tricia Maloney and published by C&T Publishing. There’s a giveaway, too, so make sure to read all the way to the end! You guys know I love precuts in most any size or shape. What is a precut? A collection of fabric cut into the same size units. The most common sizes are 5″ squares (charm packs), 10″ squares (layer cakes), 2 1/2″ strips (jelly rolls) and fat quarter bundles. I tend to collect charm packs, but I also have quite a few fat quarter bundles, too. I was really excited when Tricia asked me to participate in this blog hop because I knew I could find a project that would fit in with my stash of precuts. Deciding on which project to make was the hard part. I have the e-edition of this book and I just love it. There are so many great projects to choose from! This book has quilts ranging from small placemats all the way up to large bed quilts. I chose to make “City Houses” which is a quilt that is meant to be a bed runner, but it will be a long table runner in my house. Instead of eight blocks, I made six blocks and they were so fun to make. These are log cabin based blocks and I love the modern look. I used fabric from a fat quarter bundle of Flutter by Alex Anderson for RJR Fabrics. This bundle was given to me several years ago by Alex as a thank you for helping out during one of their TQS tapings in the bay area. I’m so glad I finally got to use it. I chose a gray, taupe and blue color palette with a pop of yellow. Totally not my usual style, but I love how it turned out. Since our house is being renovated, all of my photographs were taken outside. Thankfully, it was a beautiful day! I tried out circle quilting for the first time. I used my Bernina stitch regulator which has a foot attachment that is a clear plastic guide for outline stitching. My circles are more organic than they are perfect, but it fits with the natural theme of the fabric. I like to use Thermolam for the batting in my table runners. It gives it more stability and it protects my table from hot items a little better than regular batting. It really shows the quilting nicely, too! The binding was attached to the back of the quilt first and then wrapped around to the front and stitched down by machine. This works great for quilts that are going to be washed frequently. The Crafty Quilter, that’s me! Now that you’ve made it this far, it’s time for a giveaway. C&T Publishing is giving away a free copy of I Love Precut Quilts! All you need to do is leave me a comment telling me your favorite type of precut fabric. International entries are welcome. Giveaway ends February 5, 2017. I love all precuts, but I guess my favorite that I seam to use the most is the jelly roll, 2 1/2″ cuts. Make lots of jelly roll race quilts for table toppers and blankets for all. Woooh, the spirals seem so impressive ! But that’s true they have a great effect. Just found your blog and learning so much! My fav precut is layer cake. Beautiful runner. Love the quilting. I actually have that same free motions foot and didn’t know that’s what I could do! Cool spirals! I love layer cakes. They give me so many options…..I can use them in the 10″ squares of cut them down to the 5″ charm squares and have four stacks of charms. I would have to say charm packs & Jelly Rolls. Your table runner is beautiful. I like jelly rolls (they are easy to use and they look so nice sitting on my shelf while I decide what to make). thank you for the chance to win. I love fat quarter and charm packs. Your table runner is fresh and inviting. Love the quilting too. I love how you did your circle quilting on your project and I like jelly rolls too!! I love charm squares. Your table topper turned out great. I need to look into getting a stitch regulator. Thanks for the tips. Layer cakes for sure, due to their versatility of being cut down to 5″ squares, or rectangles, etc. Love the tablerunner, especially the circular quilting. You’ve inspired me (once again) to try it myself! I just worked on a quilt from a layer cake, so that is my most recent favorite, but I also love jelly rolls. I love fat quarters. I’ve also wanted to start using jelly rolls. I love fat quarters and charm packs. I love your table runner… love the fabric, modern pattern and especially the circular quilting pattern. The runner looks great photographed on your grey bench! Good luck in your renovations. I’ve been through it and it is so awful but the end result will be worth the inconvenience. Your table runner is fabulous! I generally use fat quarter stacks because they provide enough fabric for multiple applique pieces or for larger appliques. Love your tablerunner! I have used charm packs, jelly rolls and fat quarter bundles. Right now I have a fat quarter bundle that I’m trying to figure out a pattern for that’s more masculine in nature. This book would be a great help! Your quilt is amazing! I mostly use charm packs. Layer cakes & jelly rolls! Beautiful runner! I love the flexibility of FQs. Thanks!! I love all precuts because the fabrics all go together and I don’t have to worry if I got the matching of colors right plus the cutting has been done for me or at least part of it. I like packages of fat quarters. My favorite pre-cut would have to be fat quarters! I love them all – like having all the pieces in a collection. Lately I seem to be buying minicharms. So many cute small things to make with them! Missouri Star Improv Bag – check YouTube. I love layer cakes. Lovely table runner. I love the colours and the circle quilting. Hi Julie, charm packs so far have been my best experience! Thanks for all your posts! I like charm squares. There are so many things you can do with them & get a nice variety of fabrics. It is hard to decide what would be my favorite but today I am loving fat quarters. I love that I get several projects out of a stack. I checked this book out from our library and love the projects in it. I love “hopping” around and I also love pre-cuts, especially jelly rolls. A winning combination, I hope! Fat Quarters would be my choice as it gives the best variety for a good size quilt. Charm packs must be my favorite as I have so many! Great table runner, and I especially like the circle quilting. I hadn’t heard of the special machine foot before. I can not resist charms and jelly rolls. The charms make great gifts for quilting friends. I use fat quarters, but also have many charm packs. I better get busy! I like the table runner. Thanks for the chance at the giveaway. Fat quarter bundles are my favorite. I love having a nice size piece of each fabric in a collection! 2 1/2″ strips seem to be my go-to for a lot of things. Lately I have been using them to make small folios that will get sold at my guild show artisan boutique. So much fun to make! oh, that was a very nice article!!! thank you for the inspirational pictures!!! I usually work with charm packs, but lately I start to love fat quarters, that are bigger and you can see the print in larger area of fabric!!! And you have left over to use in another project!!! I thinking jelly rolls are my favorite. I really like the table runner and your fabric choices. love your runner! i tend to like charm packs! I love your table runner. I love charm packs and jelly rolls as you can make a quick quilt using these. My favourite are jelly rolls, especially batiks, but I do have a healthy stash of fat quarters as well. I have come to love jelly rolls but fat quarters are my first choice. Your table runner is beautiful. The circle quilting against the lines of the log cabin was a perfect choice. I love using nickel squares and layer cakes. You get coordinated fabrics that look great in the finished project. Love using 10″ cakes for a quick beginning to a runner or quilt. Love your runner! My favorite precut is the layer cake. I love fat quarters, thanks for the giveaway. I like fat quarters the best! I love your table runner. I love all of the precuts, but am especially fond of the jelly rolls. I find I can do so much more with them, and if I use any of the other precuts, I usually end up with them in the 2 1/2″ size anyway! Layer cakes (10 inch squares) are at the top of my list. I like fat quarters best, but charm packs are started to charm me, too! Your table runner is beautiful. Thanks for the batting tip to protect tabletops! very tempted with this book and even more excited when I read about the stitch regulator, do not think it will work on my bernina as it is an older version but will ring shop later today I need one! I like jelly rolls best, do have a collection of charm squares but have never used any! Beautiful work. I love all of the precuts but jelly rolls are my favorites. I love fat quarters, enough fabric for a small project. I love charm squares – I buy them, but I like to keep them. It’s hard to use them because they are so “charming” and lovely, I can’t always bear to pull that ribbon off and mess them up. Do any of you love to “riffle” through the fabrics around the edges?? Am I nuts? I know I can’t be the only one. Like you, I collect charm squares. They are so much fun to pet and dream about that I rarely actually use them, so pattern ideas are most welcome! I’ve mostly worked with fat quarters but I’ve been wanting to start using more precuts. I have a bunch of them that I’ve gotten for gifts. I really like your runner and I prefer layer cakes. Love your table runner. My favorite precursor would be fat quarter bundles. I love fat quarters. Just a handy size for so many things! Your table runner is wonderful! Lovely table runner! My favorite precuts are layer cakes, at least for now! I seem to change favorites every couple of years. Layer cakes are my weakness. I’m fond of layer cakes — useful for small zipper pouches as well as quilts! Charm packs are so versatile. I love all precuts, however my favorite is fat quarters. I love jelly rolls, charms, mini charms and FQ. I haven’t quite figured out what to do with the layer cakes just yet,,, but there is always time to do so. I was going to say my favorite pre-cut is charm squares, but looking at my stash, the more realistic answer is fat quarters. They are big enough to cut a lot of pieces of various sizes and shapes, but small enough to get a great variety of designs and colors for a reasonable price. Wonderful table runner! My favorite precut is layer cakes! Wow, hard to choose. I like layer cakes for The versatility. But I love jelly rolls also for their ease. Any pre cut would be valued in my stash. I use jelly rolls most often, but wouldn’t turn down ANY form of fabric. I realize it’s a problem, but it’s really not so bad! I love fat quarters, but buy more charm packs. Thanks for the chance. Julie, what a beautiful Table Runner, the display on the Gate brought me memories of my childhood, there were lots of Rusted Hinges gates. one to choose, also mix charm packs and layer cakes. I love fat quarters and use them often, although in my mind I don’t think of fat quarters as “true” precuts.. I have recently learned to love layer cakes because not only can you cut them up to be charm squares, but you can cut a longer piece of fabric from them. Layer cakes are very versatile in my mind! I have used fat quarters many times and I like using them in my projects and small quilts ..However I have just purchased charm squares and two jelly rolls when I was in Hawaii. I am anxious to find patterns or a class to use them. I just retired and I now have time to enjoy my passion of quilt making again. I hope I win. I need ideas !!! My favorite precut is the fat quarter. Thanks. Any precut is a good precut! My favorite are probably fat quarters, for flexibility, but I rarely buy fat quarter bundels due to price. This looks like a book with lots of good ideas! Right now my favorite pre-cuts are jelly rolls. Hope I have the lucky number! Fat quarters are my favorite but I don’t often buy the big bundles due to the high price. I am more likely to buy a layer cake, and I find I can do a lot of things with that. I like Fat Quarters the most because of their flexibility. But, I love others equally well depending on the moment! I usually tend to use charm squares. I have Charm Squares and Layer cakes but have never been brace enough to use either one. This book would help me decide! I rarely buy pre-cuts and don’t have many. However, I have more fat quarters than any other pre-cut. My favorite precut is fat quarters. I think it’s because there is more fabric to play with, and it gives you the option of including a little bit of a favorite print into several blocks. It just seems to pull the blocks together for a table runner or small quilt. I haven’t played around with the other sizes very much. I really like fat quarters, very versatile. I like getting a wide variety of coordinates that you get in precuts. I like FQ bundles the most because they give me plenty to work with when I decide to work with them. That said, I have a huge stash of charm packs. They are a little more affordable to collect. Jelly rolls are my favorite and I also cut leftover fabrics in 2 1/2 in strips to add as needed. Love your choice of colors in the tablerunner too. I like charm packs. I usually use them for Quilts for Kids or just looking at them. I have never used pre-cuts before, but I’d probably start with a charm pack because it is so flexible and the colors would be “pre-matched.” Thanks for your inspiration! Hi Julie! Love your runner, the colours are perfect against the weathered wood of your bench and gate. Like the quick way of binding too…I used that on some Christmas projects and thought it looked fine. I like fat quarters and charm packs. My favorite pre-cuts are fat quarters. I’m not so shy about cutting into one, because there is usually fabric left from the fat quarter after I take my piece out. I am a real fan of all precuts, but i I had to choose, fat quarters would be it. I can’t decide between jelly rolls and fat quarter bundles–both seem to speak to me! I”m not trying to win, since I’m part of the blog hop (I’m posting tomorrow). I just wanted to let you know that your table runner turned out great. I love the circle quilting. I’ve done it by hand, but, not on machine (I’m trying to learn machine quilting). I love precut weather they are charm packs or layer cakes. It takes the guess work out of matching for me which I find difficult being a biginner. This just let’s me enjoy quilting and not have to worry about my fabric choice because I know it will look great. I’m working with a layer cake right now. I have to say it’s very versatile. They make for a jump start to your finished quilt. Julie, I like any of the precuts ,for they are ready to get to the sewing. I would have to say my favorite is the layer Cakes. I use them for so many of the patterns. I tend to collect precuts, but have a hard time using them–this book should help! I love the way your table runner came out! I really like the versatility of fat quarter bundles, but I have a lot of charm packs, too! I have and love all sizes! Thanks for reminding me- I have a BSR and round foot too. I don’t think that I’ve thought about doing circles. They look great on the lovely fabric. I’m going to practice right away. I enjoy the charm packs because you can cut them into different arrangements, especially if you want to mix up sizes in the same quilt. Lovely table runner! I guess jelly rolls are my favorite. So versatile. I have loved charm packs since they first appeared in stores. Just a taste of everything in a line that can be supplemented with yardage….. a dream come true. And I have many patterns I developed to use this combo of charms-plus-yardage too. I love using charm squares! Thank you for the give away! Fat quarters are my fave! There are just so many options to use them and cut up shapes and sizes. Your circle quilting is perfect for this runner and thanks for the hint on using a thermal batting! I love your table runner! I like to use jelly rolls best, but didn’t know about honey buns(?). I like working in smaller widths, so they would be great. Love your blog. I happen to like fat quarters best, it gives me extra fabric to make extra if I need it. Thanks for the giveaway. I usually use fat quarters as I do a lot of applique. 2.5″ strips are probably my next favorite–great to make hexies! I have never thought of using thermalon as filler on runners, and can’t wait to try that. My favorite pre-cuts are the 2.5 strips as I find them to be the most versatile and also I just happen to love strip quilts. I expecially like the spiral quilting on your quilt and am inspired to try it myself. Would you consider doing a tutorial on it? My favorite precut is a FQ bundle! I love having the variety of fabrics ! As a less experienced quilter I have found that layer cakes give me more versatility for smaller projects. I am not yet ready to tackle king size quilts yet! I love charm packs but if I’m making a large quilt will go for fat quarter bundles. I have more layer cakes and fat quarters. This book will surely give me ideas how to use them. Love fat quarter bundles best! I love precuts too, especially charms — I have way too many! I love charm packs as they are so versatile and can be used in small to large projects. Having a variety of coordinated 5 inch squares which can be cut smaller depending on the project i’m working on. I like the 2.5 strips. They look pretty on my fabric shelves while I’m deciding what to do with them. ha! how funny we picked the same pattern for the same day 🙂 love your version and the circle quilting! I love jelly rolls, use them all the time. Fat quarters are my favorite pre-cut because of their versatility. Layer cakes are a close runner-up because of their variety. I think FQ bundles are my favorite! Favorite kind of precut!? Is that even possible!? I did enjoy the hexie precuts when they were available. But really, who can limit to one size or shape of precut!? Your runner is adorable, love the quilting. For years I collected fat quarters and I been going through them, now I collect layer cakes they come in handy for a quick quilt and they are so versatile when you need different cuts. With precuts you always have a new project ahead of you. I love jelly rolls as they are so beautiful. I have a couple that I can’t bear to open yet. But I have a collection of fat quarters calling my name. I love layer cakes first, then my second favorite is jelly rolls. I love your blog, it has help me in making all kinds of quilts. Hey, just stopping by to see your project for the hop! Love the spiral quilting!! It’s nice to see some nice weather, I am so over winter here in Ontario, Canada….I want some sun and some warmth, lol!! I love fat quarters and 10Inch squares. Versatile. I like fat quarters best. I like more fabric to work with. fat quarters for me and throw in some jelly rolls for fun. I like them all! And have a stash of each…have a hard time using jelly rolls because they are so nice to look at all rolled up! But if I had to pick one to use it would be layer cakes for the ease of cutting it up! What a wonderful runner! I especially like how you quilted it. My favorite pre-cuts are charm packs. I like getting a little of each fabric without a huge investment of money. Of course if money were no object, I’d get fat quarter bundles of everything! 🙂 Thanks for the chance! Really like your runner! I like charm packs as they are inexpensive and don’t take a lot of room so I don’t feel too guilty for buying more fabric that I really don’t NEED! I adore Fat Quarter Bundles, but usually can not afford them, So, I buy and am delighted with Charm Packs!! I think your table runner is beautiful. Thank you for sharing and have a great day! I love charm packs and jelly rolls. I like a 10 inch layer cake. Lots of fabric in those! Love your table runner, one of my favorite projects to make! My favorite precut are fat quarters. Jelly rolls and layer cakes just don’t have enough fabric for me! I like to have maximum flexibility, so I prefer fat quarters. They’re handy for all sorts of projects! I like fat quarters the most, but I do have a few jelly rolls, layer cakes, and charm packs laying around. Jelly rolls seem to be the hardest to use, so this book would be great! I love your beautiful table runner. I love fat quarter bundles. They not only allow me to make a larger project than a table runner but each fat quarter gives me a larger piece of fabric. I like using several of the same designs through out my projects. All precut fabrics seem to make the quilting life easier and enjoyable. Fat quarters are my favorite. But, I have to admit—I really love them all. I like fat quarters but have only bought one in my life as they are pricey. Layer cakes I like more !! My stash says I like fat quarters best, but I really enjoy how much time jelly rolls save you. i love and own many fat quarter sets. I never know what I am going to make but love the fabrics I see! Sew, I buy enough to make quilts if I want to, as well as table runners, or other smaller items. Thanks for the chance to win! I hope I do!! I do enjoy your site….always inspirational. I love using fat quarter bundles for projects. Your table runner is beautiful. HI,I do Baby Charity Quilts and love the Charm Packs for those! Really love all Pre-cuts! Thanks for your Blog+Giveaway! I love fat quarters! There’s so much you can do with them. In all honesty I only use yardage so far .But I could be convinced to broaden my outlook. I love fat quarters! I collect them from different shops and quilt retreats! 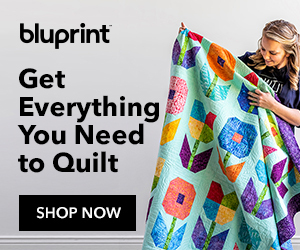 They make great scrappy quilts! After organizing my stash, I can say without a doubt FQ’s. Fat quarters and layer cakes. You get the most cuts from them. Like so many above I love them all, as I hang my head (not in shame) so people won’t see my acquisitive grin… Fat quarter bundles are great for making a big quilt and not having to go look for yards and yards of fabric for background and borders. Jelly Rolls and Honey Buns are very attractive for their color combinations on the shelf and the fact that I don’t have to make those long fabric slices. Cake Plates are nice for large pattern quilts but can also be cut down to 5″ and 2.5″ square basics. Charms are just so charming. I have a box of them, a rather large storage box of them that are strictly batiks. And then there are my shoe boxes with 5″ squares where I have reduced scraps and store them by light/medium/dark categories. The shoe boxes I use. The batiks, I pet. Yes, they come out in those cold evenings when my hands don’t want to play with a needle and they get petted and played with. But my FAVORITE, my go to when I want to make something “strippy”… the Jelly Roll! A friend and I always dreamed of organizing a quilt group called the Las Vegas Strippers and proudly wearing our name tags to quilt shows… Never happened, but being from Las Vegas, we could dream – and make strip quilts. I’m a fat quarter gal. Great quilt and love the quilting. Hi Julie I love your runner,it’s my favourite colours. My favourite pre cut is charm squares. I seem to collect a lot of charm packs, as I often want to see what the fabric designs look like before I invest in any larger amounts, especially if I am going to be ordering on line. I love using precut, 10″ squares are my favorite. They seem to be more versatile than other cuts. Jelly rolls are my favorite. The array of colors always look so nice. Too nice to cut up and use sometimes. I enjoy working with charm squares, they are affordable and the variety is unlimited. I have made several quilts for my twin grandsons and granddaughter. Fat quarters are my love – so very versatile. Love your runner! I like 2.5 inch strips because they work for piecing a n bindings. Fat quarters are my go to precut as I like to prewash. Give me a layer cake and a jelly roll and I cake make anything!!! Layer cake, baby!! Can NEVER have too many fat quarters! Cute table runner! I like charm packs best! I don’t really think of fat quarters as precuts, so I’d have to say charm squares. I use them in scrappy quilts. I love Layer Cakes. I have been surprised at how many different quilts that I can make with them. Thank-you for this giveaway. I love the charm packs. I’m using one right now to make a wall hanging for my nieces new house. She lives out on the prairie in South Dakota so I’m using earth tones ( sorry I forget the name of the line I’m using) . I’m cutting them into Pinwheels and calling it Pinwheels on the Prairie. If it turns out photo worthy, I’ll send you a picture of it. I love them all – currently using a lot of charm packs – they give so much variety and no cutting! I love fat quarters. They give you so many options and the color choice is already done for me. I love the table runner and your ‘organic’ circles. It makes me want to give circles a try on my next runner. Jelly rolls are becoming my latest favorite. I like fat quarters for the variety, you can make most projects with them. I love 2-1/2 inch strips. I cut all of my scraps into this and 5″ squares for scrappy quilts. I really enjoy using the honey bun or skinny strips s some manufacturers call them! Love the table runner, great job! I enjoy 5″ charm packs. I have made baby quilts with 2 packs, so easy. I definitely like jelly rolls the best. There are so many projects out there that use them, and the packages give you such a great assortment of coordinating fabrics. Love the jelly rolls since they seem to form the “meat” of the design; others can compliment them like accents. Your color choices are awesome – and the circle quilting really is a nice contrast to the “boxy” fabric pieces. Keep up the good work – love your blog! Love precuts and think my favorite is layer cakes as there are many things that can be done with them. Love your table runner! Jelly Rolls are fun, but I like having more fabric in the fat quarters! Oh, give me a fat quarter bundle every time! It would have to be a toss up between fat quarters and charm packs. One can get all the precut sizes from a FQ, but charm packs can’t be beat when I want instant piecing gratification. I love precuts! To have a collection of beautiful, coordinated fabrics makes my heart sing, my brain create images of fun projects, and then my hands and machine get to work! From quilts, to bags, to sweet little accessories… It is sew (!) much fun to create surprises to delight my friends, family, and even the occasional stranger! Really love your runner! I use fat quarters most often. I love charm packs… so cute, but what to do with them? Love, love, love your table runner. You have inspired me! Jelly Rolls are my favorites! I really like the fat quarters. I buy blues, greens browns and pinks, to name a few. That table/bed runner you made is so beautiful!! I love charm packs especially 1930’s repops. So cute love the children’s prints. I love jelly rolls! So many options to quilt. Your table runner is beautiful! My favourite precut is buying layer cakes. So versatile! I really love them all, but if I had to choose which pre-cut I like best, I would say jelly rolls and layer cakes. They provide so many options for both quilts and smaller projects like table runners and bags. I love the pattern you used today in your blog! Fat quarters are my favorite because of the versatility, but I love to collect charm packs as well. I love jelly rolls. There is so much you can do with them. Your runner is lovely! I love fat quarter bundles for their versatility. I like jellyrolls and charm packs. I have made many a quilt with them. I like fat quarters the best. Hard to choose a favorite precut, but I would have to say 10 inch squares. I have lots of fun with them. My favs are the layer cakes. I’ve made several from these and they go so fast. LOVE! I love fat quarter bundles. You get to see all of the fabric in the line. Sometimes there are so pretty, they are hard to use! I love jelly rolls! Besides being so versatile, they sound appetizing too! Addicted to jelly rolls! I love the way they look!! Think I need that pre-cut book. I like fat quarters and jelly rolls. I also like charm squares and layer cakes. Looks like I love them all. No clear favorite. Thanks for the chance to win. I like Charm packs at this time although I’ve an “army” of fat quarters. If I’m honest, I’ve never met a pre-cut that I didn’t like. I too love the runner, the calming colours would enhance any room. Thank you for sharing such good information. I always seem to end up with the 5″ charm squares, even though I think the jelly rolls are so pretty. Fat quarters are my favorite! Thank you! I, too, like the charm packs. Haven’t been collecting very long, so my stash is still pretty small. Love your table runner! What a pretty runner. I only buy fat quarter bundles as I feel it allows me more leeway in my quilting. Plus, I might have leftovers of a favourite fabric. 🙂 Thanks for the chance to win. Fat quarters are my favorites…so many possibilities. I like fat quarters best, so was to work with. Thanks for the chance! I like the layer cakes best; they make a good size when mixed with a solid block. I like fat quarters, they are so versatile! Julie try your Bernina Edgestitch foot #10 for sewing the binding on the front, it is so easy to get a perfect finish! I like fat quarters the best because you can do so many things with them. I love jelly rolls for their versatility in so many quilt designs. I love the fat quarter pre-packs as I’m not limited in size of the pieces in the project. I can cut up what’s left for my scraps projects (strips usually). I love charm packs. I love collecting them. I need to get better at actually quilting with them. I really like your table runner. I love the pre cut squares, 5 and 10 inch and of corse 2 1/2 inch strips are so much fun! Guess I never thought of fat quarters as pre-cuts (only jelly rolls, layer cakes, and charms). But those are what I buy most often because they are so versatile. Your quilting circles inspires me to give it a whirl! Fat quarter bundles are my most favorite precut because they are so versatile. You can do almost anything with them. That said, I have a huge stack of charm packs on hand that I use for making those quick giveaway projects. I LOVE PRECUTS! I love the charm squares the best. That is a beautiful runner, love the colors and the quilting. I am a huge fan of layer cakes! So many options when using those pre-cuts!! Adorable runner!! I like packages of fat quarters best. They give you lots of flexibility for choosing patterns to make. I love your examples. So inspiring. The pictures of the steps really help.